It's the first day of December and Movember so wives and girlfriends across the land are heaving a sigh of relief as their significant others shave off some of the strangest moustaches seen since the seventies. 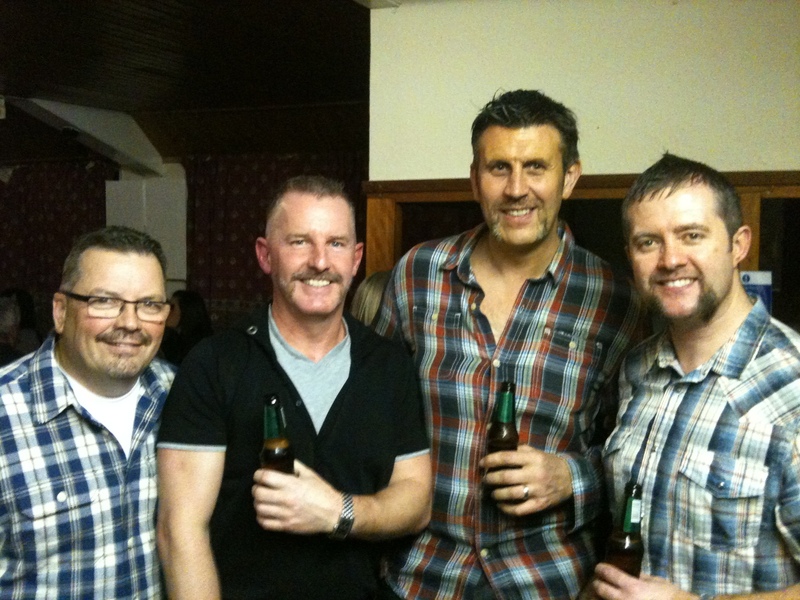 Our very own Hairy Desperados have now been restored to their usual clean shaven good looks. With your help they've managed to raise £1207 for Movember, which will be used to support testicular and prostate cancer initiatives. Altogether Movember has raised over £14 million in the UK alone, and over £63 million worldwide. We've now reached the halfway point in the Movember facial hair fest, and our Hairy Desperados have already raised over £700 for testicular and prostate cancer initiatives. It has now become a matter of pride to be pointed at in the street for sporting a bizarre beard. Those whose beard growth is visible have updated their Movember galleries so you can see the glorious progression from normality to downright weirdness. Our Movember poster has been attracting so much attention we decided to produce an unbranded version for anyone else who wants to use it. You are welcome to use our Movember poster on your blog or forum using the following codes. 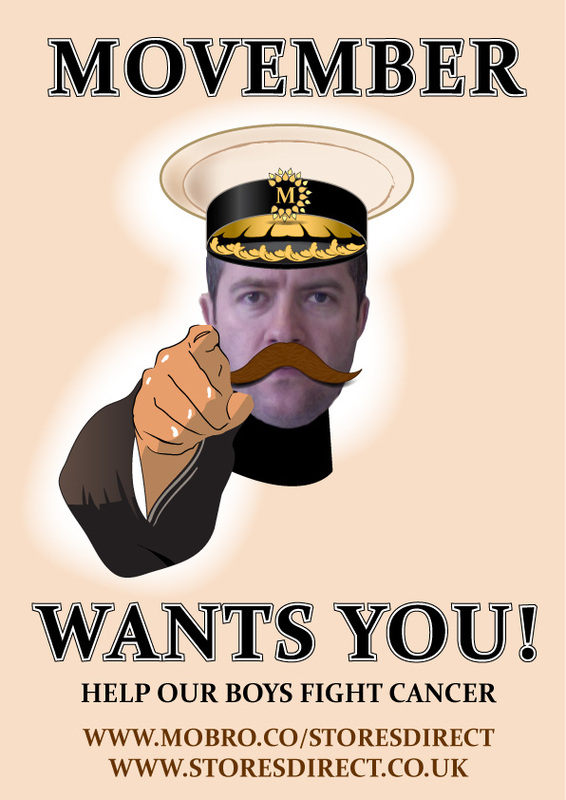 You can post this Movember poster on your blog or forum using the following codes..
Having got away with drawing a fake moustache on the boss's picture and circulating it around the internet yesterday, we decided to go a step further and turn him into the official Stores Direct Movember poster boy. We'll be putting this up at our showroom in Elland to raise awareness and encourage shoppers to donate. Thanks to everyone who has donated to Movember, no matter what team you support, and thanks to Dave for being such a good sport! Movember has begun, and men all over the world are putting their facial follicles into service growing beards and moustaches to raise money for prostate and testicular cancer initiatives. I'm pleased to say most of the Stores Direct men have joined up under the Hairy Desperados team banner and sworn off shaving until the end of November. They have bravely chosen to face and overcome difficulties such as itching faces, repelling women at nightclubs, making their teenage children (more than usually) embarrassed to be seen with them and generally looking a bit of a plonker.